W. Donald McNeill, pictured above on the right, was born in Chickasha, Oklahoma, in 1918. He was the No. 1-ranked American in 1940 and was an all-court player, as agile at the net as he was powerful from the backcourt, especially on the backhand side. He was ranked among the top 10 American players six times in the 1930's and 40's and was ranked number 4 in the world in 1940. 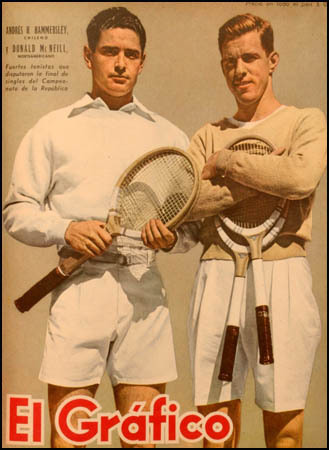 He scored a grand slam double at the 1939 French Championships becoming the first American after Don Budge to win the French, taking the men's singles title in straight sets over Bobby Riggs, and the doubles title with his partner, Charles Harris, over the legendary French pair of Jean Borotra and Jacques Brugnon. And on the grass at Forest Hills, he added the 1944 United States doubles crown, with Robert Falkenburg. 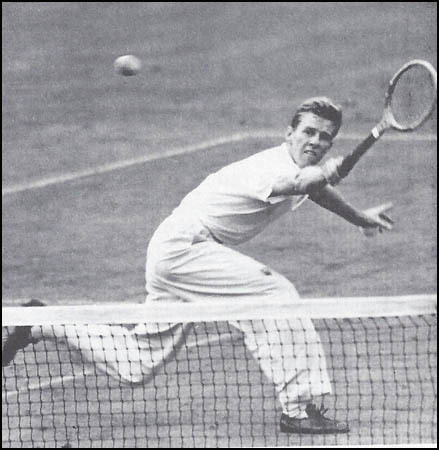 But 1940 was his banner year: he not only won the United States Open title by rallying from two sets down to unseat Bobby Riggs, the two-time defending champion, 4-6, 6-8, 6-3, 6-3, 7-5, but he also won the National Intercollegiate Singles Championships for Kenyon College of Ohio, where he graduated in 1940. 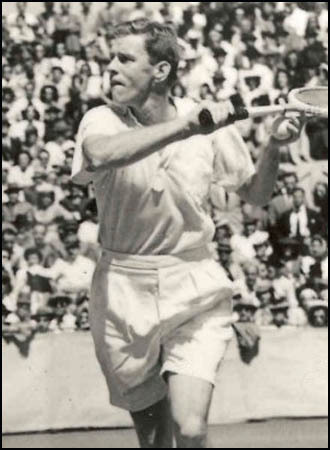 His tennis career was interrupted by World War II, during which he served as an assistant naval attaché in Buenos Aires. He was elected to the International Tennis Hall of Fame in 1965. Following his military service, he began a three-decade career as an advertising executive in New York City. Don McNeill was arguably the best tennis player ever from Oklahoma. He passed away in 1996.